"Kill your parents, kill your god, kill your teacher." Fake Buddha quote? In the most recent edition of SFX magazine, columnist Steve O’Brien wrote that the Buddha said “Kill your parents, kill your god, kill your teacher." I'm absolutely sure the Buddha never said this in the Pali canon. Is it in the Mahayana or Vajrayana teachings? Or a misattributed quote from some character from Tibetan Buddhist mythology? Last edited by JamesTheGiant on Sat Jun 09, 2018 9:23 am, edited 2 times in total. Re: Fake Buddha quote? "Kill your parents, kill your god, kill your teacher"
“Kill your parents, kill your god, kill your teacher." Totally fake, vis-a-vis the Pali Canon... it sounds like a brothelization of this. Re: "Kill your parents, kill your god, kill your teacher." Fake Buddha quote? 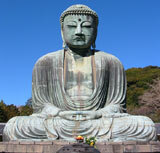 I have heard the phrase “If you meet the Buddha on the road, kill him!” many times. Can you explain this? 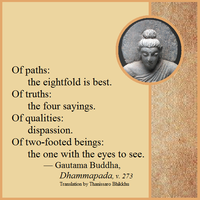 There are these two Dhammapada verses which won't make sense unless you accept the Commentarial explanation. Verse 294: Having killed mother (i.e., Craving), father (i.e., Conceit), and the two kings (i.e., Eternity-belief and Annihilation-belief), and having destroyed the kingdom (i.e., the sense bases and sense objects) together with its revenue officer (i.e., attachment), the brahmana (i.e., the arahat) goes free from dukkha. 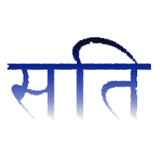 Verse 295: Having killed mother, father, the two brahmin kings and having destroyed the hindrances of which the fifth (i.e., doubt) is like a tiger-infested journey, the brahmana (i.e., the arahat) goes free from dukkha. Also sounds like a poor paraphrase of Kalama Sutta, i.e., don't go by something believing a teacher inspired it, a god inspired it, scripture inspired it, etc. That's the source! Thanks Seeker242! It's also in Wumen's commentary on the 1st koan of the Wumenkan "Joshu Says Mu." And yes, it's symbolic, meaning that if you "meet" the Buddha or the ancient Masters, then you're still grasping at the conceptual world, and you should "kill" the "Buddha" you met because it's just another example of clinging and attachment to form.